For people who play bluegrass music… or want to! 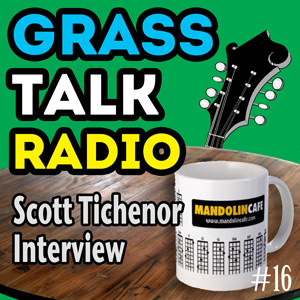 Scott Tichenor Interview - Scott Tichenor is one of the unsung heroes of the internet. His website MandolinCafe.com has influenced and brought together untold thousands of mandolin enthusiasts. Enjoy this conversation with Scott, the man behind the curtain if you will, about the origins and operation of this important website. Have fun and please rate and review the show on iTunes. GrassTalkRadio is a show for people who are learning to play bluegrass.